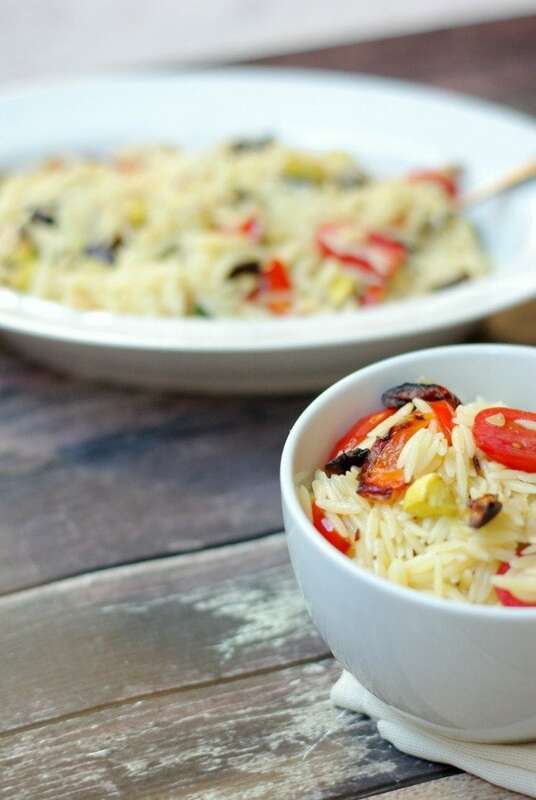 Serve a simple side dish of orzo with roasted summer vegetables to any go with anything off the grill. It’s flavorful and easy to make in under 30 minutes. Summertime means fresh vegetables out of the garden. Roasted squash, zucchini, red peppers and mushrooms tossed with orzo and fresh lemon juice. It’s a perfect side for any meat or seafood cooked on the grill. It’s delicious warm, at room temperature and even cold out of the fridge. It also makes great leftovers. Baseball season is in full swing. And in my house that means dinner around the kitchen table can be difficult. Often times there’s a ball game right at the dinner hour. And those games can take a while. Many times were eating dinner on the go. I try to think ahead when planning for the week. This time Orzo with Roasted Summer Vegetables was the answer. I made up a big batch on Sunday so we could eat the leftovers during the week. This recipe is easy to make and any summer vegetables will do. I also used by Italian Pronto Herb Blend by World Seasoning. I always have grilled chicken in my fridge that can be tossed in for a complete meal. This orzo salad is also delicious with my Spicy Grilled Shrimp. 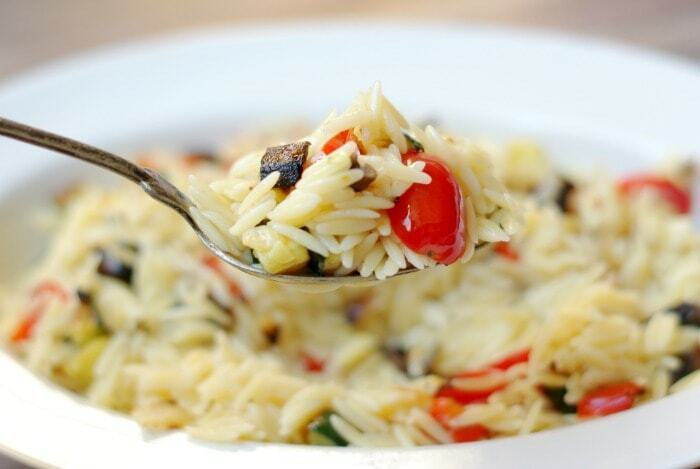 Serve a simple side dish of orzo with roasted summer vegetables to any go with anything off the grill. It's flavorful and easy to make in under 30 minutes. Prepare the orzo according to the package directions. Before draining reserve half a cup of the cooking liquid. Toss the squash, zucchini, red pepper, mushrooms, onion and World Seasonings Italian blend in the olive oil. Spread the vegetables on a foil lined baking sheet and bake for 20 minutes or until the vegetables have caramelized. 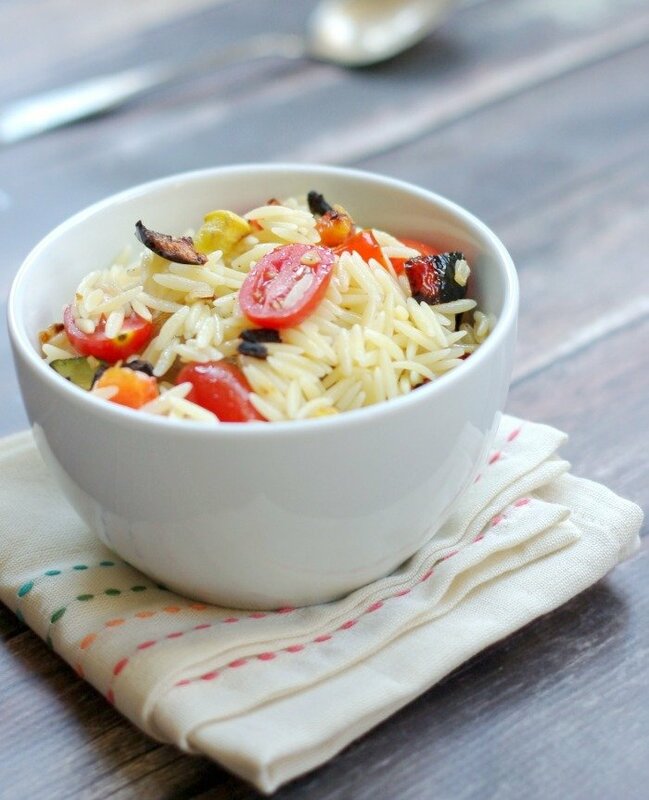 In a large serving bowl mix together the orzo and roasted vegetables. Squeeze in the lemon juice and add in the cooking liquid in small amounts to moisten the pasta. Stir in the grape tomatoes and serve. I love orzo, and fresh summer vegetables are my favorite! this sounds so flavorful and lovely, I want this soon! It’s so easy to make and any summer veggies will do. Enjoy! This is one of those side dishes that I could serve all Summer long. So many different veggies would be perfect in it. The perfect side dish for any bbq or party! It looks so light and refreshing! How easy is this?! It looks so good, and packed full of veggies. It will be the perfect side dish to a BBQ meal. Super easy! Perfect for this 4th of July weekend. Thanks! I love using orzo in pasta salads. It’s an unexpected twist on classic pasta salad, and matches the size of many additional ingredients. That makes for easier eating, and not overpowering the lovely veggies in this version! Yum! I love that you can really taste summer fresh veggies in this side dish. Thanks and enjoy! 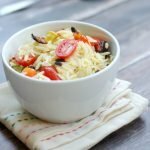 Orzo is my favorite pasta to use in salads. I love that you added in roasted summer veggies. Nothing beats the flavors that you get from roasting vegetables! I love roasting veggies on the grill or in the oven. It makes a huge difference in this side salad. This looks amazing. 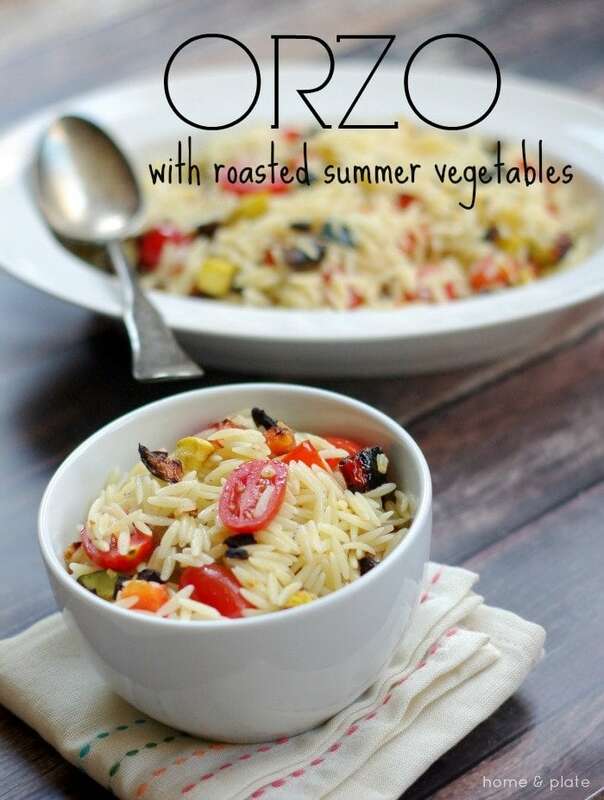 I love orzo and the combination of it and roasted vegetables sounds fantastic! Orzo Yummy vegetables seems delicious one.Will make a try at home and let you know the results.By the time do keep blogging more. Thanks Anna. This recipe has been a hit. I hope you enjoy it!